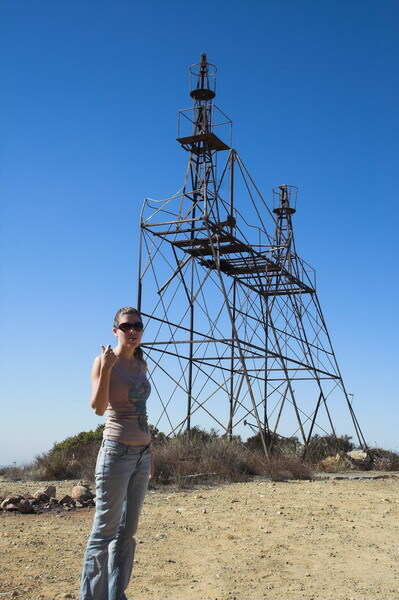 Jessica and I drove through the Santa Ana Mountains in Orange County last weekend. 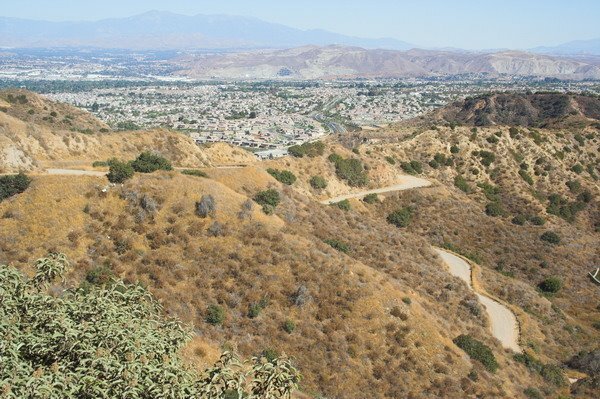 We started on Skyline Drive in Corona, drove Main Divide Road across the range, and then took Maple Springs Road back into the city. It took about 3 hours. Heading down Maple Springs Road. 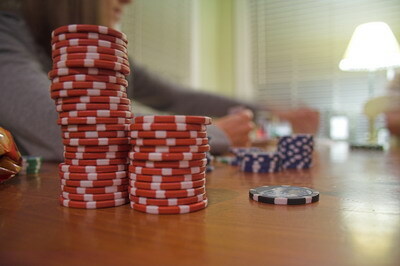 We've been playing Texas Hold 'em with Craig and Alice lately. Jessica was 2 for 2 when we played last weekend. Watch out, she knows how to bluff. 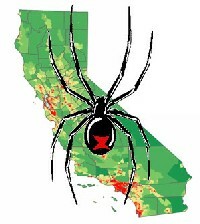 I've been finding plenty of black widows here in Fullerton lately. Conventional pesticides don't seem to kill them, but there's one product that does: Demon WP (active ingredient: Cypermethrin). Unfortunately it's illegal to sell high-concentrate Cypermethrin products like Demon WP to us unlicensed peasants in the great state of California. Online vendors even refuse to ship it to us. Bummer, I guess we'll have to live with those deadly spiders. Lucky for us, someone invented eBay, where unscrupulous individuals will gladly sell you as much black widow poison as you need. It's time to show off my latest project. If you're into off-roading, you might like it. Dirtopia is an online encyclopedia of off-road trails that anyone can edit, in the style of the successful Wikipedia. Dirtopia was created because there is no universal source for off-road trails on the Internet. I got tired of digging through old books and online forums looking for off-road trails in Southern California, only to find incomplete and outdated information. Myself and a few friends have begun writing about trails in California and Nevada over the last few weeks. 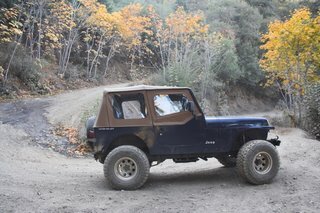 We hope to attract additional contributors and eventually document every off road trail in the United States. So if you're bored, come check it out. 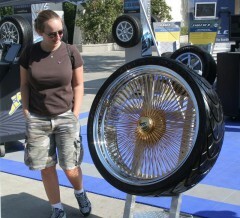 Phil and I went to the 2006 Off-Road Expo in Pomona, where we saw a ton of bling. I hate bling. Here are the 10 Dumbest things at the Off-Road Expo. I caught this story in the local section of the OC Register today. I can only imagine the frenzy that was whipped up in the Neighborhood Watch program when this poor guy went looking for his cat. It's just not safe to say "hi" to the neighborhood kids anymore. Oh well, that's fine with me.